Lino Borg is a practicing artist and educator. He received his education at the Malta Government School of Art, the Accademia Pietro Vannucci (Perugia) and at the University of Malta. Studied Lithography under Eduard Schmid. He was employed at the Museums Department (1974–1991), and then as an art teacher in State Schools (1991-2012). He lectures at the Faculty of Education and the Faculty of Arts at the Universit of Malta (1990–2012). He also lectured at the Malta Conference Centre for Restoration, Bighi (1999–2002). Contributed in the Exhibition Catalogue Sacred Art in Malta 1890–1960 edited by Rev Gino Gauci (1990). Author of the Exhibition Catalogue, The Maria Pisani Bequest’ published by Heritage Malta (2008). 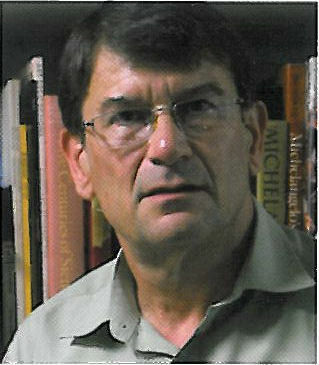 Co-author with Joseph P. Cassar of The Art and Life of George Fenech, 1936-2011 (2012).